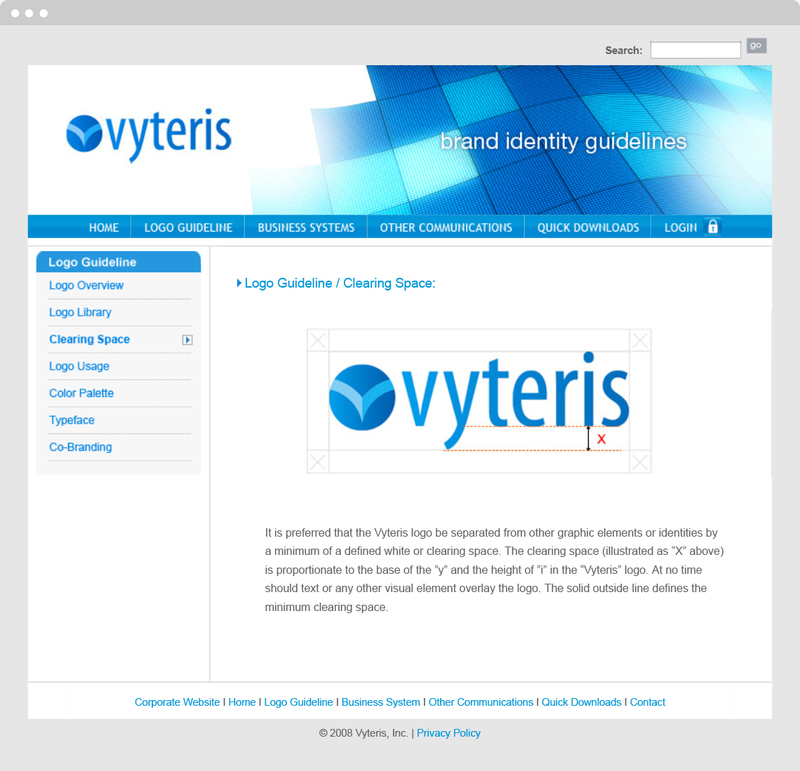 We had done a complete re-branding for Vyteris –logo, collateral, website, signage, even packaging for their device. 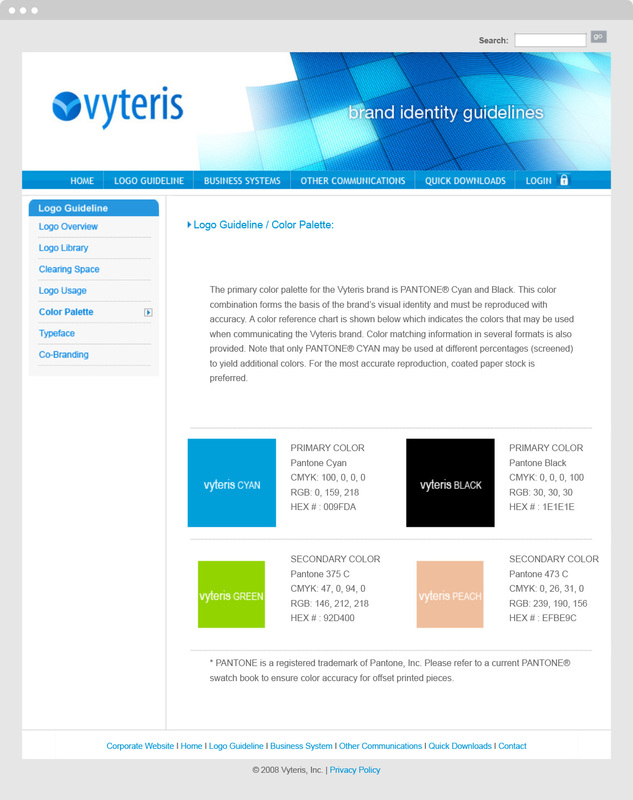 This component is the online branding guide. I believe all branding guides should be online so their accessible and so they can live and breath, accomodating changes, such as a growing list of stock photos and collateral layout possiblities.